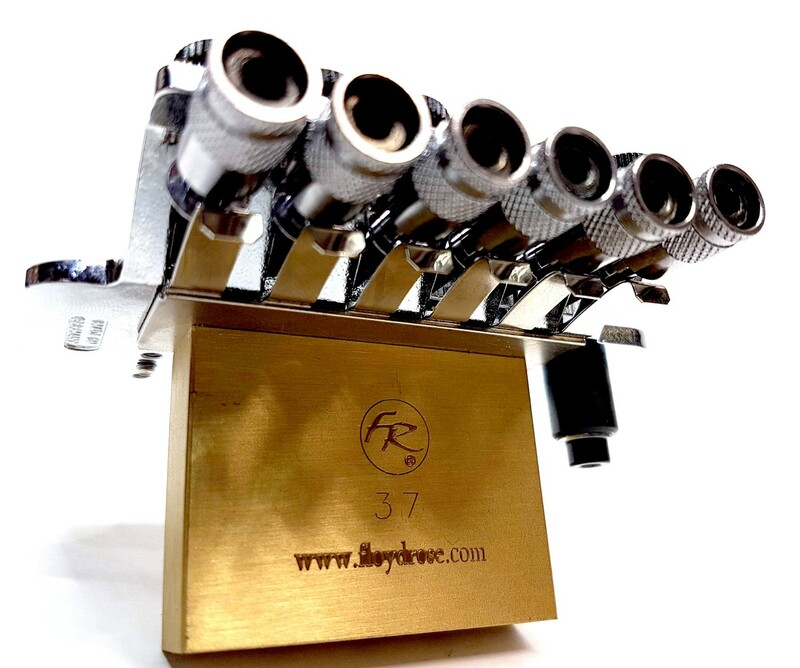 Featuring the same dimensions as the FR Original, the Hot Rod Series Tremolo kit comes with a stock 37 mm Fat Brass Block ( see photo ) and stainless steel screws. No copy can duplicate the double-locking design of the Floyd Rose Tremolo System that allows you to lock your guitar in tune at the nut and at the bridge-- the Floyd Rose is engineered like no other tremolo system, and the Hot Rod Series is essentially an upgraded version of the Original. Available in a variety of nut sizes that will fit practically any electric guitar, the tremolo kit contains the bridge, locking nut, springs & claw, mounting studs, and all hardware necessary for installation. The tremolo is made in Germany using hardened steel, with stainless steel screws made in the USA.